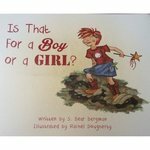 Bergman, S. Bear, "Is That For a Boy or a Girl?" (2015). DIVerse Families. 147.